It is commonly believed that Edmund Husserl (1859-1938), well known as the founder of phenomenology and as the teacher of Heidegger, was unable to free himself from the framework of a classical metaphysics of subjectivity. Supposedly, he never abandoned the view that the world and the Other are constituted by a pure transcendental subject, and his thinking in consequence remains Cartesian, idealistic, and solipsistic. The continuing publication of Husserl's manuscripts has made it necessary to revise such an interpretation. Drawing upon both Husserl's published works and posthumous material, Husserl's Phenomenology incorporates the results of the most recent Husserl research. It is divided into three parts, roughly following the chronological development of Husserl's thought, from his early analyses of logic and intentionality, through his mature transcendental-philosophical analyses of reduction and constitution, to his late analyses of intersubjectivity and lifeworld. It can consequently serve as a concise and updated introduction to his thinking. It is commonly believed that Edmund Husserl (1859-1938), well known as the founder of phenomenology and as the teacher of Heidegger, was unable to free himself from the framework of a classical metaphysics of subjectivity. Supposedly, he never abandoned the view that the world and the Other are constituted by a pure transcendental subject, and his thinking in consequence remains Cartesian, idealistic, and solipsistic. The continuing publication of Husserl's manuscripts has made it necessary to revise such an interpretation. Drawing upon both Husserl's published works and posthumous material, Husserl's Phenomenology incorporates the results of the most recent Husserl research. It is divided into three parts, roughly following the chronological development of Husserl's thought, from his early analyses of logic and intentionality, through his mature transcendental-philosophical analyses of reduction and constitution, to his late analyses of intersubjectivity and lifeworld. It can consequently serve as a concise and updated introduction to his thinking. 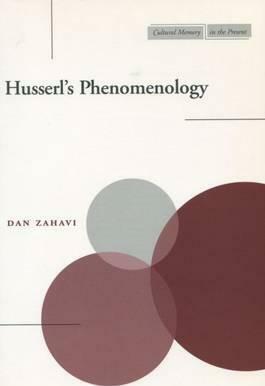 Divided into three parts, this title follows the chronological development of Husserl's thought, from his early analyses of logic and intentionality, through his mature transcendental-philosophical analyses of reduction and constitution, to his late analyses of intersubjectivity and lifeworld.